Analytical Armadillo: PART 2: Shame on the British Media! What Really Happened? PART 2: Shame on the British Media! What Really Happened? 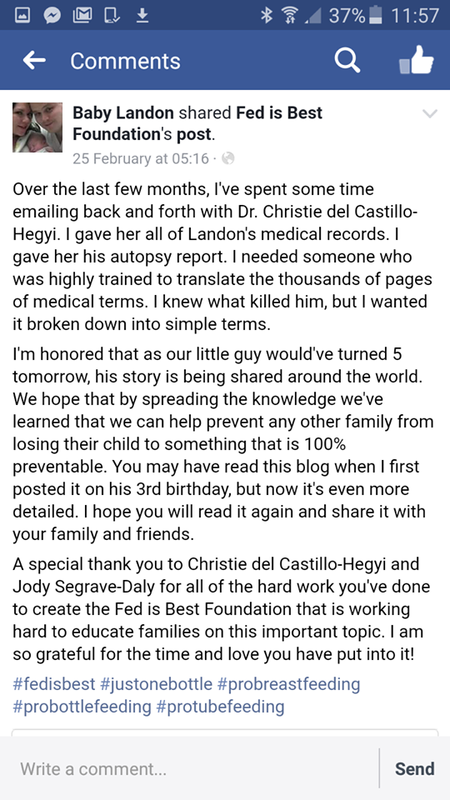 After posting this blog, I was made aware that the devastating story of Landon's life, portrayed by the media - may not be entirely accurate. 1) Baby had experienced a difficult delivery, with concerns for oxygen levels and heart rate following compression of the umbilical cord - resulting in 14 medical staff and an emergency section. 2) Being " a bit dehydrated" after birth, typically occurs when there has been excessive blood loss such as placental abruption, which isn't noted above. 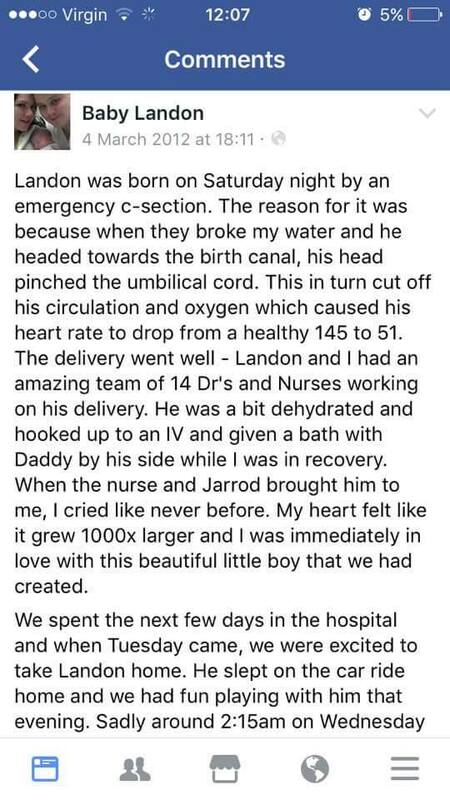 I suspect what actually happened is they tested baby's blood sugars, which due to the difficult delivery were low enough to warrant immediate IV intervention whilst still in recovery. "Treatment depends on how severe the low blood sugar is in your baby and on your baby’s feeding skills. In some cases, frequent feeding is enough to correct the problem. In other cases, the doctor or advanced practitioner caring for your baby may provide extra sugar in a mixture that is given through a tube placed in the baby’s nose or mouth. In severe cases, sugar (called glucose) is fed right into the baby’s bloodstream through a needle placed in the infant’s vein. This is called an intravenous line or IV. The baby may need an IV for several days, but he or she can usually still feed from the mother’s breast or bottle during this time." 3. The next few days in hospital don't give detail as to what happened with regard to doctors monitoring baby following this. Normal protocols following this type of delivery and early IV required, would be that blood sugars and hydration levels would be checked constantly during this period; ensuring baby had stabilised. This means either baby was hydrated with good blood sugar levels during his stay (and he was feeding well and crying for another reason, perhaps linked to delivery), or that inadequate checks were made during this period. 4. There is no mention of distress when they returned home - in fact far from the media reports of constant crying, or sleeping as one would expect in a dehydrated infant, parents report they enjoyed "playing" with their baby. 5. Only a few hours later at 2.15am did mum discover the tragedy - there isn't enough time here for a baby to have become severely dehydrated since their discharge at tea-time. lack of oxygen before or during birth because of problems such as placental abruption (premature detachment of the placenta from the uterus), a difficult or prolonged labour, or compression of the umbilical cord. In fact as this paper from the Department of Clinical Neurophysiology, Great Ormond Street Hospital, London outlines, 30-53% of seizures are as a result of such labour complications - compared to 0.1-5% as a result of low blood sugars. As low sugars are also linked to complicated deliveries like the above, this makes things more complex. "Seizures in the neonatal period are also the most common neurological emergency and are associated with high mortality and morbidity 1,2." 6. Baby Landon survived several weeks in hospital, following his re-admittance - where he received expressed breastmilk. 6. 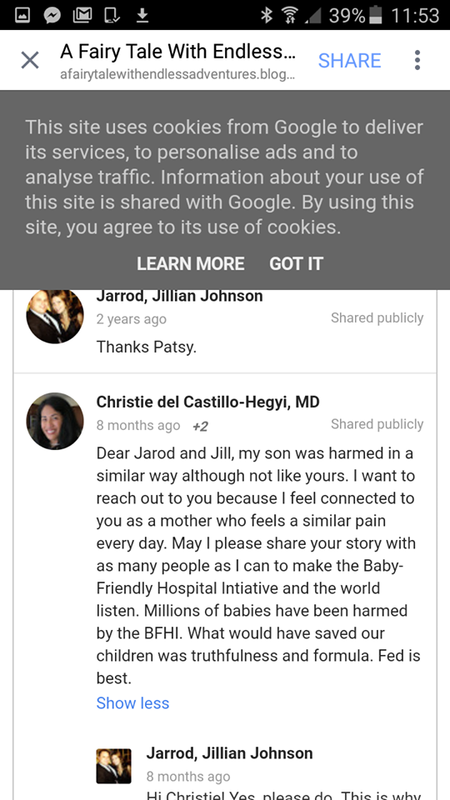 There is no mention of any link associated with feeding and the initial episode until 2015, when Christie del Castillo-Hegyi, founder of the "fed is best" movement, and recipient of questionable healthcare pertaining to her own infant, contacted this family. 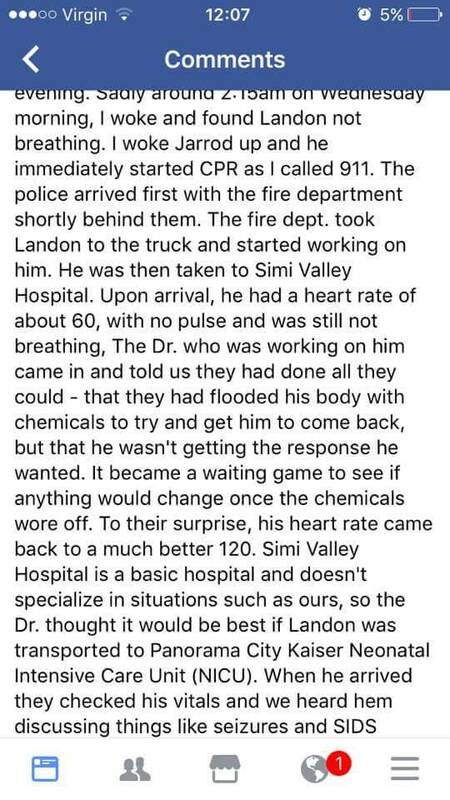 It appears a not entirely unbiased mother (an A&E doctor, not a pathologist), went through the autopsy results of another, and concluded it was lack of breastmilk that caused the seizure that resulted in Landon's death. Do you think the media representation accurately depicted the mother's words? Well analysed. Just one thing. Was this baby term or preterm, and what birthweight? By about day 5-7, average intakes for average healthy term infants are in the range of 500-600mL, increasing to an average of 750mL by the end of the first month. Thus the amounts of breastmilk they were feeding on day 5 (Saturday to Wednesday) (20mL upped from 10mL every 3 hours!) are very small, 80-160m over 24hours. There is no mention of any breastfeeding, only breastmilk feeding and IV fluids which of course would depress thirst and appetite to some degree. And there is no mention of active efforts to maximise the mother's milk supply when her baby is not at breast or is feeding only 3 hourly (!!) Once again, we are left with a birth damaged baby who is obviously harmed by day 5, is revived and lasts till day 19 with medical care - but very little discussion of breastfeeding and possibly serious underfeeding of breastmilk. Would this baby have died sooner or later if given just one bottle? 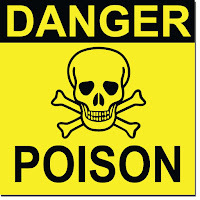 That might depend on how the hypoxia had affected the infant gut. In short, this is not a case of a baby dying because breastfed, but dying despite being breastmilk-fed and....add in multiple unknowns. Following Hypoxic-Ischemic Encephalopathy, TPN feeding would be standard whilst enteral feed volumes increased as tolerated I think? The other factor to consider here is that newborns males in the US are routinely circumcised with no or inadequate analgesia after birth, and when it's done in the hospital, this is usually done right before discharge. Routine infant circumcision has been shown to interfere with newborn feeding behaviors as well as breastmilk intact. If the baby is already compromised, but deemed healthy enough to undergo the procedure, it wouldn't be surprising if even a relatively short disruption of normal feeding could have a deleterious effect. Unfortunately, routine infant circumcision is so deeply ingrained as a simple procedure in the medical system here that complications and death from it are not usually recorded as such, leaving the actual number of boys harmed temporarily or permanently open to conjecture.